What is it? Java GUI for InterProScan (JIPS) is a graphical user interface for finding new motif/domains/fingerprints in repeated Interproscan searches. 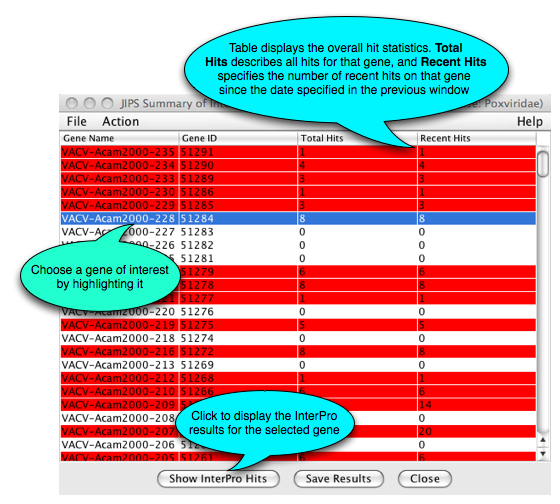 JIPS compares results from InterProScan searches performed with two versions of a InterPro database and highlights new motifs/Domains/fingerprints which are from the updated database. Results are displayed in an easy-to-use tabular format. JIPS also contains tools to assist with ortholog-based comparative studies of protein signatures. 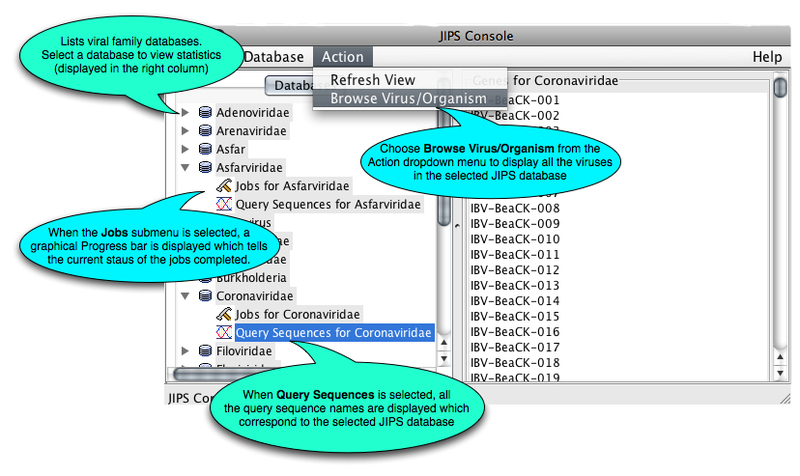 JIPS is an efficient tool for performing repeated InterProScans on large batches of protein sequences, tracking and viewing search results, and mining the collected data. How do I get started? JIPS can be accessed for free at www.virology.ca. 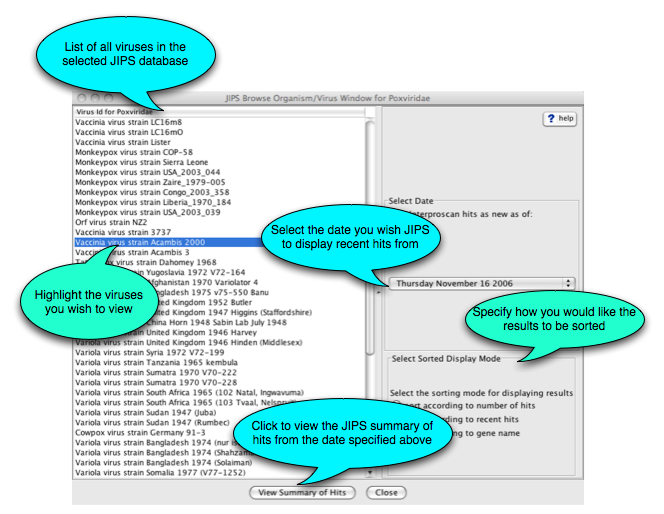 Select JIPS from the VBRC Tools drop-down menu (top left of the page) or Click here to go directly to the JIPS page. Click the Launch Program button. JIPS will be downloaded to your computer and Java Web Start will automatically start the program. What next? The main JIPS window below will apear. From here you can select which viral database you wish to query. This website is supported by the AWS Cloud Credits for Research program. Viral Bioinformatics Research Centre © 2019. All Rights Reserved.